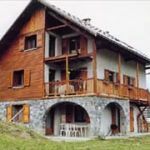 Newly- built house in mountain hamlet with panoramic view on les Ecrins. 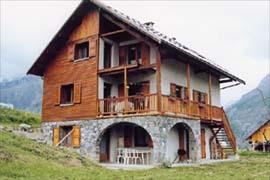 Gîte on ground floor of owner's house, ski lift 50 m. away. Large living-room, kitchenette, dishwasher, sitting area with TV. Shower-toilet, washing machine. 1 bedroom (1 double bed, 2 single beds), 1 sofa-bed in living-room. Large grounds, terrace, garden furniture, barbecue. Underfloor heating. Vegetables from garden during the season. Baby equipment on request. Sheet rental optional. Logement bien tenu, très bien équipé. Accueil chaleureux. Emplacement calme (Puy Aillaud). 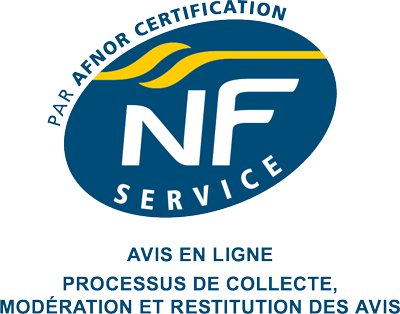 Très bon rapport qualité/prix. Une présentation trés avantageuse !